Lapland is a land of myth and legend and when you ski with us across the frozen landscape, where the reindeer roam freely, you will appreciate what we mean. Here in Finland beyond the Arctic Circle the snowy mountains are bathed in a wonderful light which gives the landscape an ethereal quality. We are based in the world famous cross country ski village of Äkäslompolo, where a total of 330 km (206 miles) of prepared trails are available. Äkäslompolo, which is often referred to as Ylläs, is Finland’s most comprehensive network of tracks offering endless alternatives for a day out with many of the trails taking us inside the Pallas-Ylläs National Park into pristine nature. Last winter we saw the Northern Lights every night for seven nights! Our own magic show against a backdrop of snowy mountains. 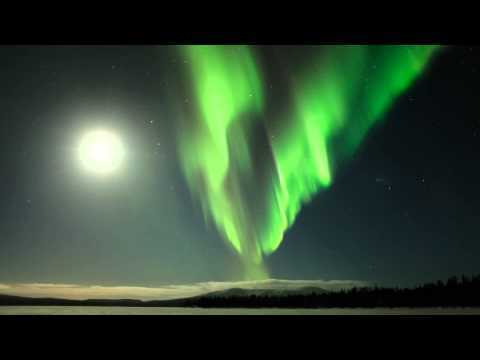 The Northern Lights: see the Aurora Borealis! Simply enjoy the magic of Lapland! Lapland is Finland’s northernmost region, a sparsely populated area bordering Sweden, Norway, Russia and the Baltic Sea. It’s known for its vast subarctic wilderness, ski resorts and natural phenomena including the midnight sun and the Northern Lights. Cross-country skiing is very much a national sport in Finland and part of the culture. Nearly every Finn learns to cross-country soon after taking their first steps. Decades ago, it was an important means of transport in the winter, and skiing across forests and lakes on the way to work or school was commonplace. In smaller communities, the children still ski to school when there’s snow on the ground. The area is rich in the history of the Sami people, known also as Lapps or Laplanders. Sami are the only indigenous people in Scandinavia that are recognized and protected under the international conventions of indigenous peoples. Traditionally, they have pursued a variety of livelihoods, including coastal fishing and fur trapping. They are however, perhaps best for their semi- nomadic reindeerherding.The animals provide them with meat, fur and transportation. In some Nordic countries reindeer herding is legally reserved for the Sami people. In the forests around Äkäslompolo there are many wild reindeer and it is common to either see them or their tracks. During the winter months there is always the chance of seeing the stunning northern lights and many people travel to Äkäslompolo just for the ‘Lights’. They are actually collisions between electrically charged particles from the sun that enter the earth's atmosphere. Auroral displays appear in many colours although pale green and pink are the most common. They appear in many forms from patches or scattered clouds of light to streamers, arcs, rippling curtains or shooting rays that light up the sky with an eerie glow. It is a very special moment when you see what is truly one of our planet’s most magical light shows. In winter 2018 we witnessed the 'Lights' almost every one of our seven nights. The trip to Äkäslompolo is so much more than a cross-county ski holiday – it’s a beautifully choreographed adventure into the real magic of winter! A trip into true Lapland, with spectacular skiing, reindeer sightings and ice-fisherman hauling out their catch on frozen lakes.., Perhaps most thrillingly, however, this trip offers an incredible opportunity to witness the stunning beauty of the Auroa – enchanting and enticing in equal measure. With a visit to the frozen world of the Ice Village also part of this trip, it really is one not to be missed. Thank you so much T&T for hunting this one out! Akaslompolo is so popular with the Finns that hotels don’t bother advertising because they are already booked for next year. With an extensive network of ski tracks were never short of somewhere to explore. We visited the Lapland Snow Village. I’d heard about these crazy hotels made entirely of snow and was bowled over by the detail of the carvings. I’d not seen the Northern Lights before - mesmerising, like watching flames in a fire but way colder. I’ll definitely be going back to Akaslompolo with T&T. Today we meet you at your luxury hotel by the shores of Lake Äkäslompolo. Most likely you will have flown to the capital Helsinki, and then taken an internal flight to Kittila. It is then a 40 minute transfer to Äkäslompolo. We find that many guests have enjoyed a night in Helsinki either before or after their ski trip. It is to be recommended. Day 2 - 7: Ski time! Each morning, after a leisurely breakfast, which is served Finnish buffet style, which means as much as you can eat, we will then head for the ski room to prepare for our day. We love the atmosphere in the waxing room as everyone chats about the day ahead, and discusses which wax to apply to give the best performance. We will spend the next 6 days exploring the 330 km (206 miles) that make up the huge network of cross country ski tracks around Äkäslompolo. The tracks mainly lie on the western edge of the Pallas Yllastunturin National Park, and offer many circuits, which will more than occupy us. The community of Äkäslompolo sits on the western side of the mountain of Yllas, and the community of Yllasjarvi sit on the eastern side of the mountain. One of the features of the area are the lake tracks which allow some great skiing on Lake Äkäslompolo. We love the ski days at Äkäslompolo as they can involve local circuits which visit the many cafes and kotas where an open fire will often have been already prepared offering the chance to warm up and to do lunch 'local style' cooking sausages on the fire. The kotas are traditional Lapp huts, or tents which in the past would have been dismantelled and carried by reindeer whenever the Sami people decided to move to a new location. Other options include taking a taxi or bus to the start of the trails on the outer edges of the ski area and then enjoying a journey skiing back towards our hotel. We include a day to Peurakaltio where there is a fabulous log cabin in the forest where we can enjoy cake and coffee before skiing home. In these remoter areas it is normal to either see reindeer herds, or at least see their many tracks in the snow where they have been foraging for food. The fabulous Snow and Ice Village of Lainio is also on our tick list, and we will visit the amazing ice sculptures before continuing to Totovaara and then skiing back through the mountains. The lake at Äkäslompolo offers some great skiing and we will no doubt ski across it during your stay. We will visit the 'other wordly' kota of Velhon where it we leave the snow to step into 'middle earth' for a warm drink. Today you will make your way back to Kittila airport and onwards to your destination. It is always our aim to complete the proposed itinerary outlined above, however, it may be necessary for our guides/instructors to adjust the daily itinerary based on the weather conditions, group safety and enjoyment. On all our trips we aim to accommodate our guests in well-situated, clean, characterful, family run accommodation. We are painstaking in our research to give you the best option possible and one that is good value. Our suggested accommodation, listed below, is subject to availability at the time of booking. We have given details of our favoured venues and those we intend to use. If unavailable we will book alternative accommodation of a similar standard. Our trip fees are based on two people sharing a room. However, on many of our trips single rooms are available on request for a supplementary fee. Our accommodation is rather special. We use the Hotel Ylläshumina which is built in traditional wooden log cabin style and dates from 1945. It was then that Aapi Äkäslompolo founded the first of Ylläs' hotels here. The hotel is now owned and run by Toivo Qvist who used to be a member of the Finnish cross country ski team. The hotel, in typical Finnish style, is a cluster of log cabins spread around the edge of the lake. All rooms are en suite with shower, and toilet. Single rooms may be available on request for a supplementary payment. However, these are limited in number and we recommend that you book early if you wish to be sure of a single room. Please contact us for details. We are sure you will find it very comfortable, and cosy. To start our ski day we only have to walk about 100 metres to the tracks, perfect! As we choose to use Hotel Ylläshumina we rely on early bookings to secure our rooms. If we find that bookings for this trip arrive very late/last minute then we may with your agreement use alternative accommodation. The capital of Finland, Helisinki is served by many international airlines. You will then take an internal flight to Kittila which is only a 40 minute transfer from our destination at Äkäslompolo. Once you arrive at Kittila you can either take one of the regular shuttle buses to Äkäslompolo or you can book a taxi which in 2018 cost approx. 110 Euros one way. If your flights are not convenient for the internal flights to Kittila, we would recommend considering spending a night either before or after your trip to explore Helsinki. Airport buses run daily to and from the airport at Kittila to Äkäslompolo and the timetables are adapted to suit the flight times. Reservations must be done at least one day before the flight. Reservations: yllaskutsuliikenne@hotmail.com. You can check out the airport bus timetable here. You can also use another bus service from the airport, the Ylläs Express. The price is approx. 26 Euros per person one way, and 52 Euros per person return. You must have the appropriate insurance for your chosen activity, including helicopter rescue, repatriation and medical costs. We also advise you take out Trip Cancellation/Curtailment Insurance in the event of you being unable to join the trip. The insurance referred to should only be purchased AFTER we have confirmed your trip is guaranteed to run. Insurance: It is a condition of booking that you are insured against medical expenses, injury, illness, death, cost of repatriation, and personal accident risks. This must include cover for the activities to be undertaken during the trip. For tours taking place outside the United Kingdom you must ensure that your insurance covers rescue from the mountains, including helicopter rescue. It is the right of the leader to make a decision to call for helicopter rescue if such assistance is needed. Costs incurred by you, the client, due to an evacuation, rescue or other emergency shall be your responsibility. Any subsequent costs incurred for expenses, not limited to but including such costs as hotels, food, transport etc, shall be borne by you, the client. You are responsible for ensuring insurance cover is adequate for the particular needs of your chosen activity. You must be fully aware of the implications involved in arranging your own travel insurance and understand the limitations and exclusions of the policy. By agreeing to our Terms and Conditions you are authorising Tracks and Trails Ltd, or the person employed to lead the trip for Tracks and Trails Ltd, to instigate rescue and/or helicopter evacuation procedures without previously obtaining the permission of the company issuing your insurance policy. We reserve the right to cancel your booking at any time if we are not satisfied you have the necessary insurance policy covering your activity. Please ensure that your insurance covers you to the maximum altitude given on your trip itinerary. If you are unsure or are joining a bespoke trip then please contact us for specific details. Most of our trips have a maximum altitude of 3,000 metres (9840ft), except the Tour de Monte Rosa which reaches 3316m (10,877ft). You must bring all insurance documentation with you at the time of the activity. We also recommend your insurance covers you for trip cancellation and baggage loss/damage. Tracks and Trails Ltd are unable to accept responsibility for the loss or damage to any client equipment or luggage. For further details, please read the Insurance section on our website. We use 'classic' style cross country track skis for this trip. You can choose to bring your own, however, do check with us first to ensure they are the correct type of ski and boot. At Äkäslompolo we do things the Finnish way, and our hire skis are 'waxing' skis. This is also a great opportunity to learn the art of waxing and your instructor will provide daily waxing sessions to ensure you get the best out of the skis. Grip waxes are the traditional way of travelling on skis, and give greater glide than 'fishscales'. Don't be confused by all of this, just ask your instructor! We are always delighted to help you enjoy the whole Nordic experience. The hire shop also has the new generation of 'skintec' skis which are faster and smoother than 'fishscales' and do not require grip waxes. Do let us know if you would prefer we booked 'skintec' skis for you. Your instructor will help with organising the ski rental on the morning of your first ski day. The cost of your ski hire, if you require to hire, is approximately 100 Euros for 6 days. To ensure we get the correct sizes equipment hire is arranged in advance. Please make note of your equipment hire on our booking form. We will need to know your height, weight, normal shoe size (you must give us your everyday shoe size and not your personal adjustment for wearing boots) and the measurement of your height up to your armpits for ski pole hire. In Finland it is not necessary to purchase a ski pass as there is no charge to use the tracks. For each of our trips there is a minimum number of guests required to book before we can 'guarantee' your trip will run. This is normally 4, and on some occasions 5. In the 'Dates and Prices' section you can hover over the 'Status' button to see how many more bookings are required for your trip to be confirmed. The maximum number of guests that we take on any given trip is indicated in the 'At a Glance' box on the right hand side of the trip page. We will, on occasion, run trips that have not reached the minimum number because our guests have agreed to pay a supplement to allow the trip to go ahead, enabling them to book their travel. If the trip then reaches its minimum number we refund the difference. Do contact us if you wish to discuss this option. We strongly advise you do not book travel until we have confirmed your trip is 'guaranteed' to run. If you book travel before we have confirmed it is 'guaranteed' we cannot be held responsible for any financial loss if the trip does not go ahead. After we have processed your booking we will send you a comprehensive clothing and equipment list that is appropriate to your trip and activity. There will be some items on this list that we strongly recommend and others which are suggested. Our list is based on our experience of what is needed for any particular trip, but it is not the definitive article! If you have items you like to use then do bring them, but be aware of over-loading your 'day' rucksack with items that are heavy and therefore making the trip more challenging. Please contact us if in any doubt about what to bring. When booking a holiday as a solo traveller a twin bedded room comprising of two single beds, is booked as standard. This will be with someone of the same gender unless you request to pay extra for your own room. Single rooms are often limited in supply so if you would like to pay a supplement for a single room we urge you to get in touch as soon as possible. For details of the supplement please contact us. On many of our trips there will be an element of 'group kit' which will be shared amongst our guests. As mountain people you will be used to team work and working together to the mutual benefit of the group. The 'group kit' will be minimal and simply a case of sharing out a few lightweight 'survival shelters'. On a week-long trip you may carry a small shelter for just one day before passing it on to the next person. On many of our cross country ski trips to remote areas there will also be a few additional items to share such as the grip waxes/klisters, spare pole, and snow shovel. These items are shared in such a way that no one is over burdened. Other group items necessary for safety and comfort will be carried by your guide/instructor. We go to great lengths to work with first class guides and instructors who are passionate about their work. They are all fully qualified, and insured, and hold the correct documentation. Please note your guide/instructor has complete discretion to make a daily decision on whether or not to take the advertised route based on the weather and the ability of the members of the group. They have our authority to make any route changes they believe are necessary in the interests of safety and enjoyment. For our walking, family, and snowshoeing trips your guide will be a fully qualified and experienced International Mountain Leader. For our running trips your guide will be an International Mountain Leader, and an experienced mountain 'trail runner'. If you have booked on a cross country ski trip you will be with a fully qualified professional BASI Nordic Ski Instructor or equivalent. BASI is the British Association of Snowsport Instructors. Expect to ski on a mixture of both flat and rolling terrain on prepared trails. You should already be at a level where you are confident about controlling your speed and direction, and have a good ‘snowplough’. You should be able to cope with skiing under control on a variety of terrain both uphill and downhill, and be confident about tackling corners while skiing downhill. All our trips include quality instruction, but for these trips you need to have a good ‘kick and glide’ to be able to travel competently and at a steady pace. You should have a good level of fitness to ensure that you are comfortable with longer days in winter weather, which may include snowfall and cold winds. You should be happy to ski on a variety of snow including perfect fresh tracks, AND tracks less than perfect which may be ‘firm’. On our point-to-point trips you will be expected to carry a small daypack. Time on skis will be 5-6 hours per day covering approximately 15-25 km (9-15 miles) per day with an occasional longer day. However, you will find the trails here generally easy as they are gently undulating, and there is a lot of skiing on well prepared flat tracks. We would normally expect to climb no more than 400m (1312ft) on any one day, and it will often be between 200 to 300m (656-985ft) per day. We will, however, do plenty of distance and you can expect to ski anything from 20 - 30 km (12.5 - 18.7 miles) on the longer days out such as the days we are dropped off at Totovaara and Peurakaltio. This is a general statement with regard to luggage and is not specific to your trip. Please read on. The majority of our point-to-point trips have luggage support which means your bags are transferred each day to the next accommodation and you only need to wear a small/medium sized 'rucksack' for items you might need during the course of the day. On some trips which feature a night in a refuge/rifugio/hut your main luggage may not be available that evening due to lack of vehicle access. Your rucksack should be of sufficient capacity to carry a few extra items required for this overnight. Your trip itinerary will indicate on which nights you do not have access to your main luggage. If in any doubt please contact us. For our centre based trips, in other words where you are staying in the same accommodation all week, you are welcome to bring whatever luggage you require. However, do refer to the note below with regard to 'size' and the lack of elevators in some hotels. Please note that many hotels do not have elevators. This means you may need to carry your luggage to your bedroom. On our point-to-point trips where your luggage is moved along the route by taxi we ask that you keep the weight to a maximum of 15kgs (33lbs), and ONE bag per person. Many of the taxi companies who move your bags impose a 15kg (33lbs) limit and restrict the number because they have to unload and reload the vehicle each day. If you take more than one bag you may be asked to pay a supplement. Luggage on wheels is a good idea, and as stated you need to be able to carry your luggage to your bedroom which may involve climbing several flights of stairs. We do not include lunches in the trip fee as we find that our guests prefer to choose their own lunch. In Finland there are many cafes beside the ski trails as well as 'kota' which are traditional wigwam style structures where there will be BBQ already fired up! Many people stop to cook sausages and other items on the fire. Otherwise you can stock up at the local supermarket on lunch items. Your guide will advise you of the options each day. On your itinerary you will find an indication of the amount of ascent and descent you can expect each day. This offers a guideline to how much effort might be expended each day and allows you to decide, based on previous experience, if your fitness and stamina are correct for the trip. We make every attempt to ensure these statistics are as accurate as possible, but ask you to note that the most modern of technology used to record these details can show considerable variations in terms of ascent, descent, and in particular distance. In other words no two people using GPS devices on the same route will have exactly the same details recorded at the end of the day. The statistics given should be used as a 'general' indication of the effort required. Winter temperatures are 'according to the locals' warmer in recent years than previously which is why we now run trips in the months of January, and February, as well as March and April. Even in January when the daylight hours are short we find that we have more than enough time for skiing. We have never yet had guests feeling they were losing out in terms of ski hours by booking in January or February. There is a special pleasure to starting your ski day in the sunrise, and skiing back with the sunset. Historically temperatures in December have averaged -8°Celsius (17.4°F), in January -9.7°Celsius (14.5°F), in February -9.2°Celsius (15.4°F), in March -6.6°Celsius (20.1°F), and in April -2.3°Celsius (27.9°). We have found over the years that these temperatures have not been unpleasant nor have any guests had problems dealing with the weather as it is generally a 'dry' cold, and of course this helps create great snow and therefore great ski tracks. If we do experience a cold snap where temperatures drop then we ensure that everyone is appropriately clothed and kitted out for the ski day. In this respect energy snacks and a thermos with a hot drink are a great comfort! It is useful to arrive at your destination with some cash in the local currency, however, on most occasions it is relatively easy to visit a 'cash machine' after arrival and withdraw money on a credit or debit card. Some of our locations are an exception to this in particular Norway, where the accommodation will often have no facilities for withdrawing cash, but they will take a credit card. On many of our trips we will visit remote cafes/farms where it is wonderful to enjoy a drink and a cake, at places such as these they will only accept payment in the local currency in cash. On our walking and running trips which take in the route of the 'Tour du Mont Blanc' you will find that Euros will also be accepted in Switzerland as we are never far from the frontier, but the exchange rate will be poor. On all our trips we prefer if you can experience local tastes and dishes that reflect the culture of the country we are visiting and for this reason many of our accommodation options will be family run with a reputation for the traditional food of the region. If you have a 'special' diet because of an allergy or intolerance to a certain food type which will make you ill the accommodation will cater for this as best they can, eg gluten free, nut free, lactose free. If you are vegetarian then this is not a problem as the hotels/refuges are used to being asked for vegetarian meals. Our accommodation will try to cater for those with vegan diets but in remote refuges in the mountains this is more difficult. If you would like to discuss the suitability of a trip for a vegan diet then please contact us. Gluten-free diets will be possible with regard to the evening meals, but we would advise that you bring along some gluten-free snacks for your breakfasts and lunches. If you have a 'special' diet which is NOT because of an allergy or intolerance, and is not 'veggie' then we apologise but we cannot cater for this. The accommodation on the popular routes will be catering for many people each evening, in some cases up to 70/80 meals per night, 7 days a week, and realistically they cannot produce many different meal options unless the food will result in illness. The countries we visit all have tap water that is drinkable. If for any reason a particular hotel is having a problem with a remote mountain water supply they will normally post a sign over the tap indicating that you must not drink the water. At all times you are welcome to ask your guide/instructor if the water can be drunk. We would ask, for environmental reasons, that you avoid using single-use plastic bottles, and bring a water bottle that can be used repeatedly. A passport with 6 months remaining validity at the end of your stay is generally required for visits to countries outside the EU, such as Norway. Please check the relevant embassy or consulate for other nationalities. It is your responsibility to ensure that you have the correct travel documents and visas for your holiday. Visa requirements and charges are subject to change without notice. Note that if your trip involves staying in a mountain refuge/rifugio/hut that electric sockets may be in short supply and for that night you may not be able to charge any items. Although the accommodation will have electricity this will often be supplied by solar panels or a generator and limited to use by the staff. For this reason we advise that carrying a small slimline and lightweight 'battery pack' can be very useful for recharging phones which many of you will also use as your camera. Before booking consider whether you expect to be in the appropriate physical condition on the date of your departure to allow you to fully participate in and enjoy your holiday. If you have any doubts because of an illness or injury it would be advisable to check with your doctor. UK residents should obtain and bring with them the free European Health Insurance Card (EHIC). This entitles you to state provided medical treatment in certain European countries, but is not a substitute for medical travel insurance. We advise that you always carry your insurance documents with details of the Emergency Medical telephone number for your insurance provider, and your policy number. We feel strongly about protecting the environment and do not encourage the use of single-use plastic items. We would ask that you arrive with a ‘water bottle’ or ‘hydration system’ that can be used repeatedly. We would point out that we operate a ‘zero tolerance’ for rubbish, and would ask you to remove all your rubbish items from the mountain even those you consider to be bio-degradable. In particular we ask that you remove any toilet tissue. Working across international boundaries, and with various currencies means that the price of our trips can change overnight. We have, however, undertaken to guarantee that once you have paid your deposit the price of your trip is fixed. In this respect we urge you to book early to ensure that you receive the price advertised on our website. The website price may increase due to currency fluctuations, but we guarantee that the price advertised on the date of your booking will be maintained in your individual case. Due to the specialised nature of our holidays, we co-sell a number of trips with 'partner' companies. These are carefully selected to ensure they reflect our ethos and standards in terms of the service we offer our guests. By encouraging other companies to sell our trips it means that your chosen holiday may reach its 'minimum' number earlier, allowing us to guarantee the trip and to give you the go-ahead to book your travel arrangements. There may be occasions when our partners have helped book your accommodation and organise the logistics for your trip. On these occasions your hotel may have recorded your room reservation in the name of one of our partners. We guarantee that companies with whom we work will offer the same package as Tracks and Trails Ltd. The price will be the same, though occasionally they may be operating in a different currency. Your itinerary and the items that are included, or not included in your trip fee, will also be the same. We believe in team work, and enjoy working with other small high quality companies. If you have any questions about this policy please contact us and we will be happy to discuss it with you. A film by two photographers local to Akaslompolo and shot in the national park where we will be skiing on this trip. In winter 2018 we watched the Aurora every night for a week. Mystical and magical experience. Excellent footage of the countryside and skiing of Akaslompolo, our base for this week. The skiers in this film are 'skate' skiing, and we will be doing 'classic'. However, it is worth watching to see the landscape. The film features the Snow and Ice Village, Peurakaltio and other locations we will be visiting.